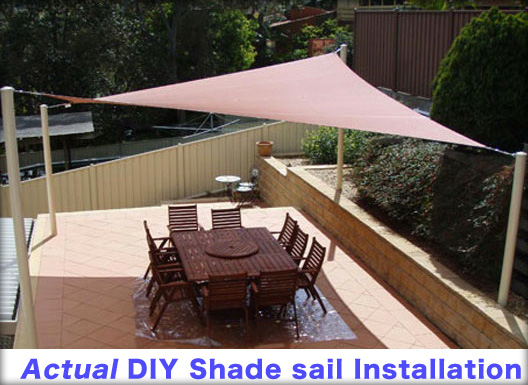 You also get: A discount if you go ahead and purchase a shade sail from Shade Australia within 6 months, a 100% Credit on the price of the boo, 50% off your stainless steel hardware and a free tube of stainless steel lubricant. Furthermore, if you have any specific questions when you’re doing the job you’re more than welcome to give us a call on 1300 155 233 and have a chat. Here’s what you don’t get!! In Summary; This book is designed to save you the headaches most first time DIY shade installers make. It’s aim is to make sure you don’t make the classic mistakes of using underside poles or shallow holes. Go ahead and order today. There’s a Full Money Back Guarantee if you buy the book and it isn’t doesn’t give you what you want*. We’re confident that this book will save you a ton of money, make your job smoothly and give you a professional quality result. 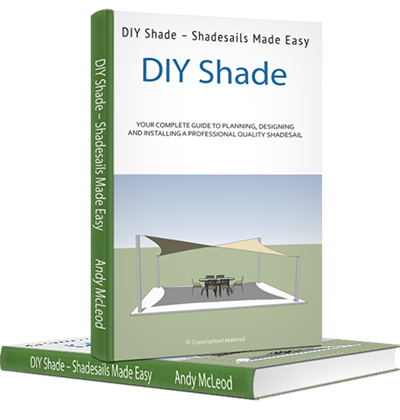 Placing your order for the DIY Shade e-Book is done using Paypal. You can use your Paypal account or if you don’t have a Paypal account you can use a credit card. All transactions are handled securely by Paypal and we do not store any credit card information. Once you’re order has gone through, you will receive an email with the download for the e-book. This can typically take anywhere from 5 minutes to a couple of hours. The download is approximately 3.5mb and often it can go to your spam folder. If you haven’t received your download link within a few hours, please call us and we’ll resend it. You can also order a printed copy of the book directly from amazon.com. Orders with Amzon typically take 2-3 weeks to arrive. Amazon occasionally adjusts the price which is beyond our control.